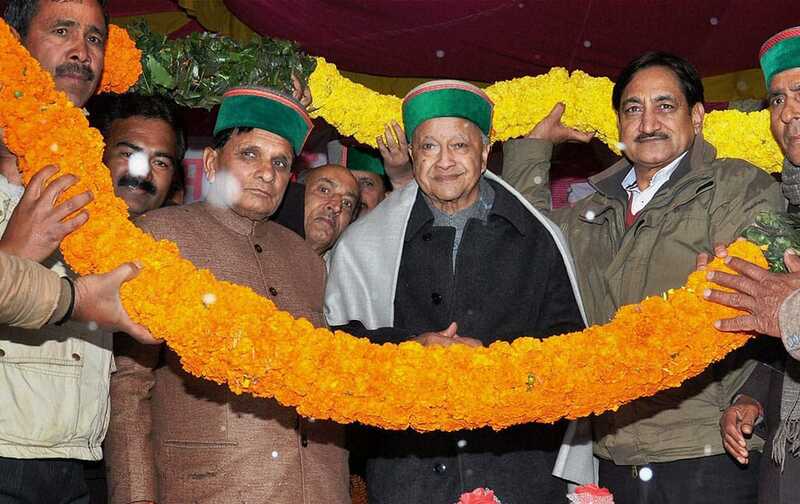 Chief Minister of Himachal Pradesh Virbhadra Singh being garlanded by his supporters during a function in Nihari in Mandi. 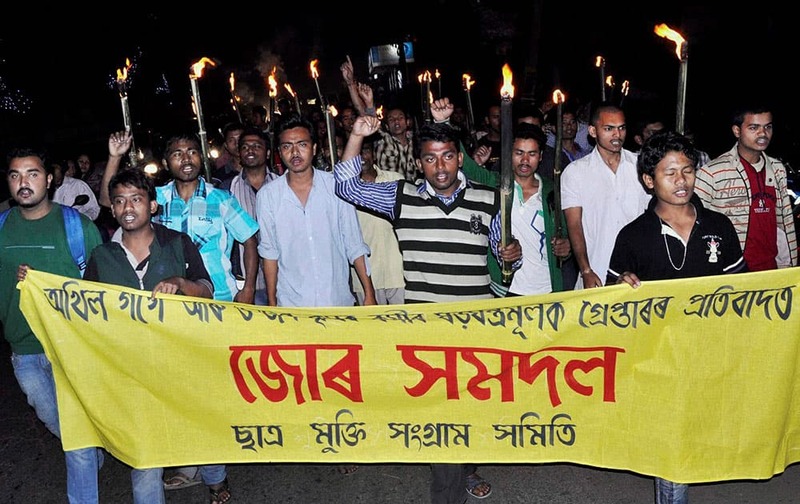 Activists of the Satra Mukti Sangram Samity (SMSS) , a student wing of KMSS take out a torch light procession in Guwahati on Sunday, protesting against the arrest of Krishak Mukti Sangram Samiti (KMSS) President Akhil Gogoi arrested by Assam police from his Nijarapara residences in the wee hours on Sunday. 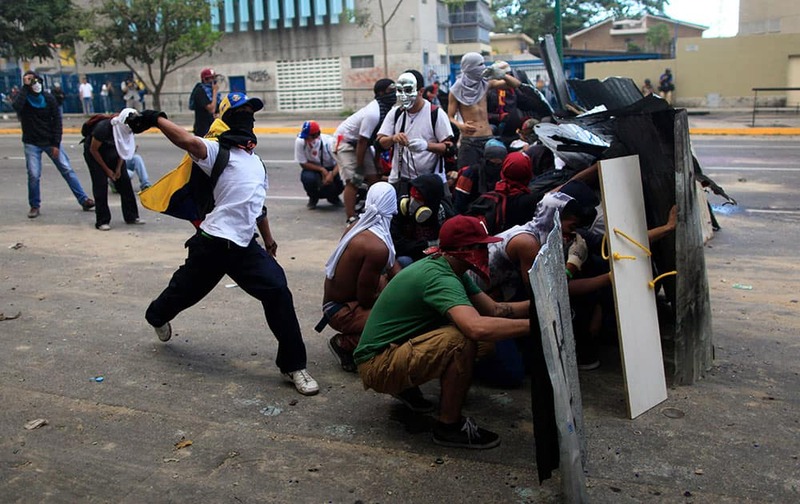 A masked demonstrator throws a stone at Bolivarian National Guards during clashes in Caracas, Venezuela. 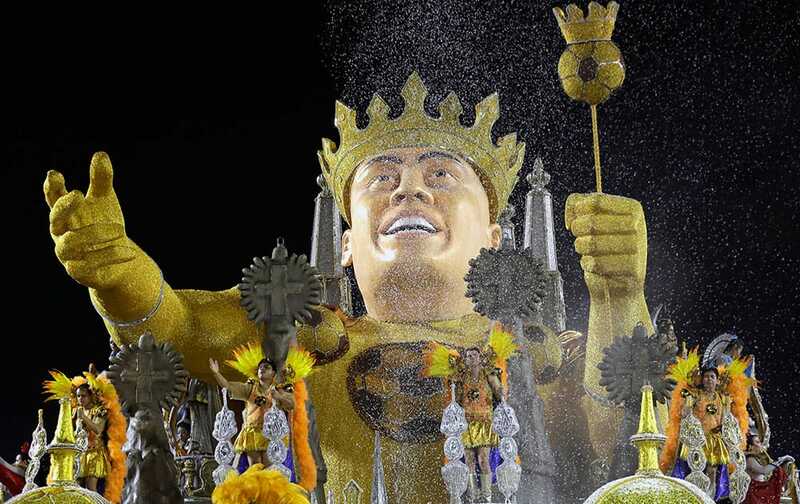 Gavioes da Fiel samba school dancers perform on their float depicting Brazil`s former soccer player Ronaldo wearing a crown at a carnival parade in Sao Paulo, Brazil. 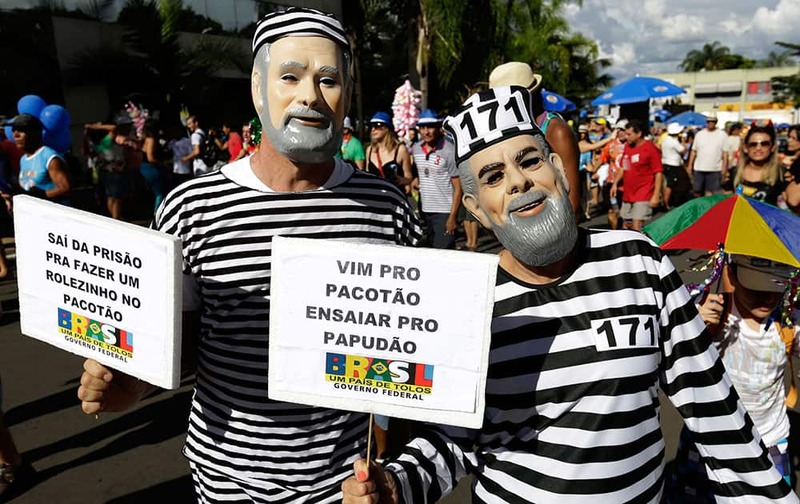 Revelers dress as prisoners and wear masks of Brazil’s former President Lula, right, and former Workers Party Treasurer Delubio Soares at the Pacotao carnival block party in Brasilia, Brazil. 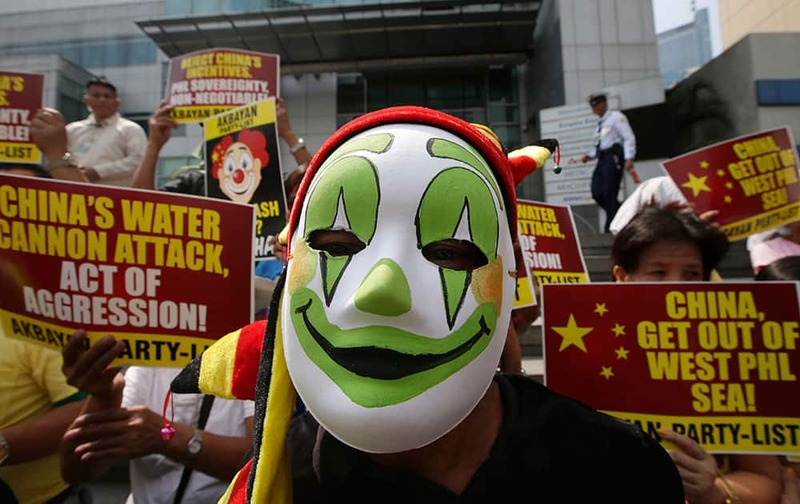 Protesters, some dressed as clowns, picket the Chinese Consulate at the financial district of Makati city east of Manila, to protest the recent use of water cannons by the Chinese coast guard to drive away Filipino fishermen off the disputed Scarborough Shoal in the South China Sea. Real`s Cristiano Ronaldo, left, in action with Atletico`s Arda Turan, right , during a Spanish La Liga soccer match between Atletico de Madrid and Real Madrid at the Vicente Calderon stadium in Madrid. 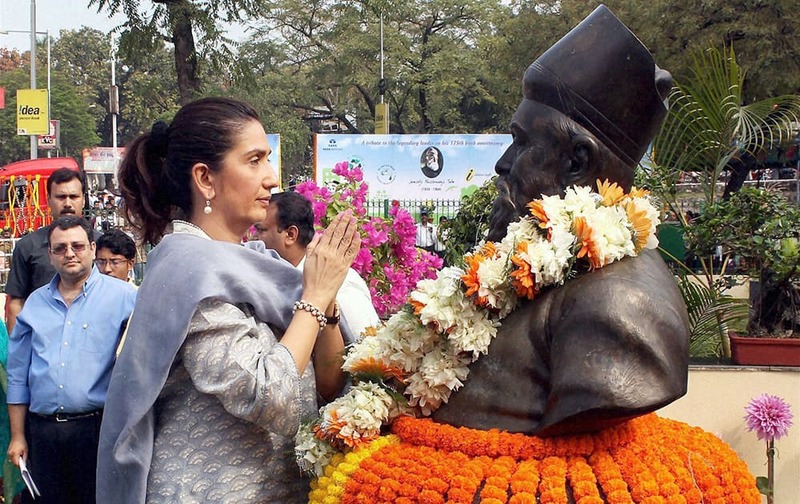 Tata Group Chairman Cyrus Mistrys` wife Rohiqa Mistry pays floral tribute at the bust of Tata Steel founder J N Tata on his 175th birth anniversary at Tata Steel works in Jamshedpur. A model wears a creation for Stella McCartney`s ready-to-wear fall/winter 2014-2015 fashion collection presented in Paris. 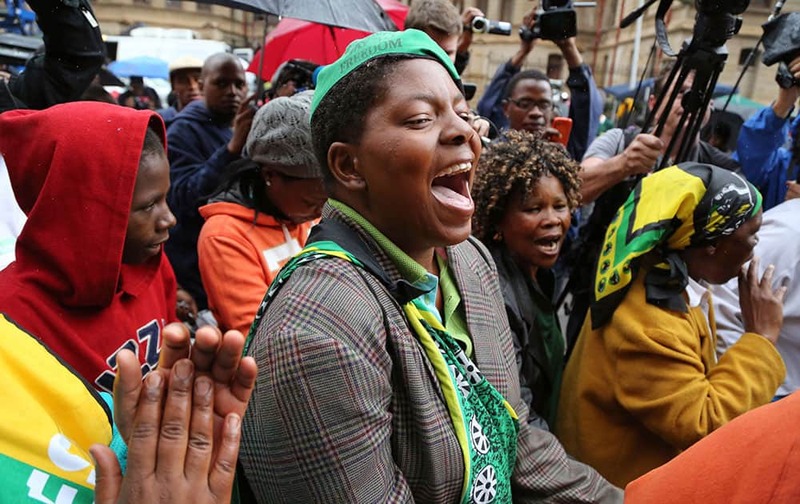 Members of the ANC, African National Congress, protest for woman right`s outside the high court during the trial of Oscar Pistorius in Pretoria, South Africa. 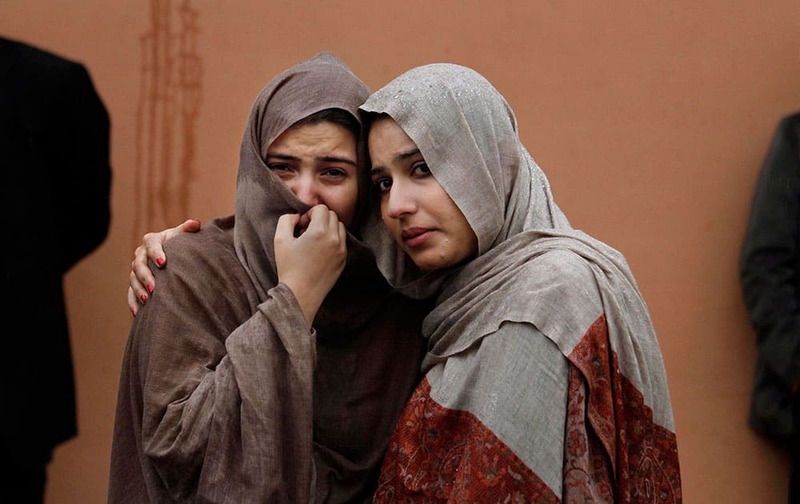 Pakistani women mourn outside a hospital`s morgue, where the bodies of victims of a twin suicide bombing are, in Islamabad, Pakistan. 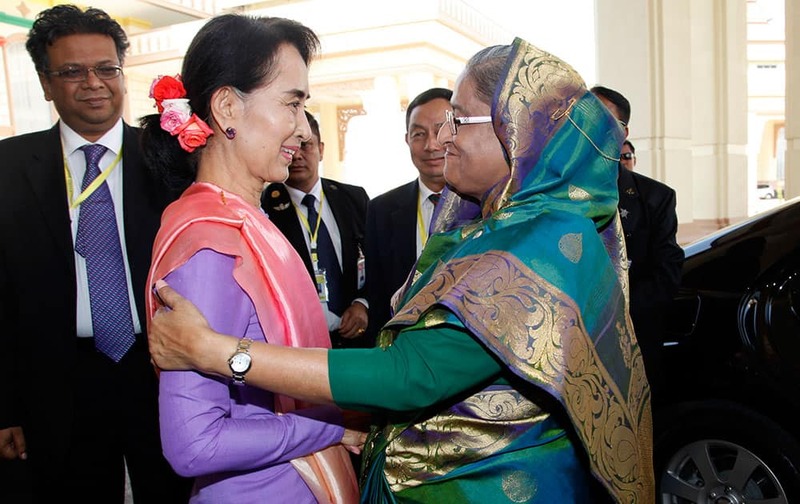 Myanmar opposition leader Aung San Suu Kyi, left, sees off Bangladesh Prime Minister Sheikh Hasina, right, after their meeting at the parliament building in Naypyitaw, Myanmar. 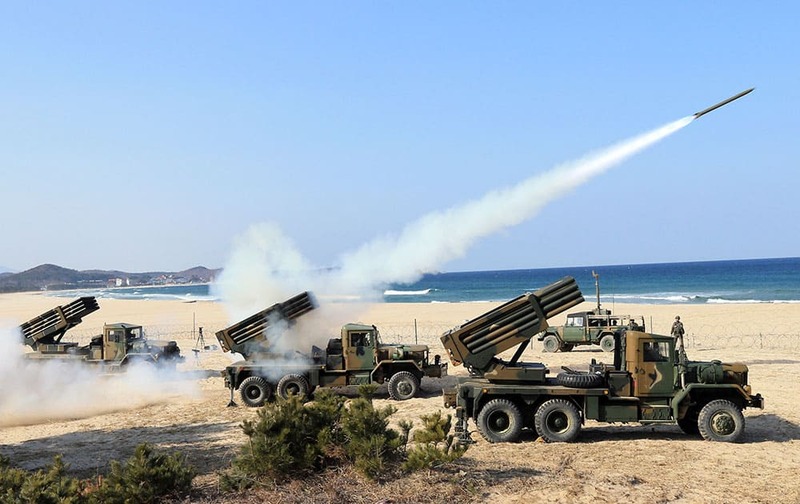 South Korean Army`s 130mm multiple rocket launchers fire live rounds during an exercise against possible attacks from North Korea in Goseong, South Korea.